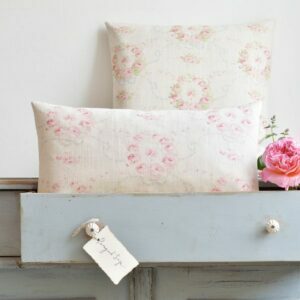 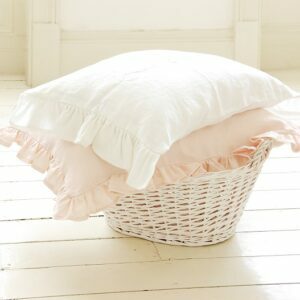 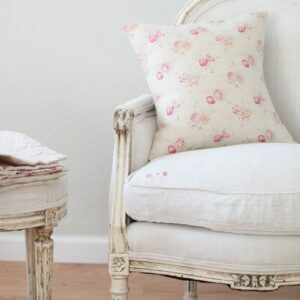 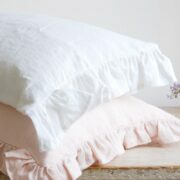 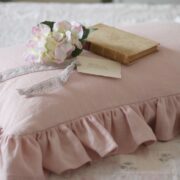 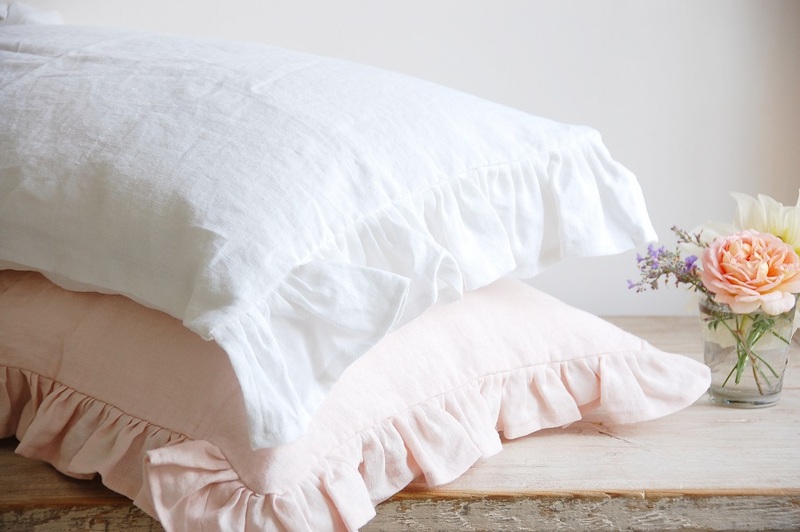 Stunning handmade Perfect Pink Frilly Pillow Cases. 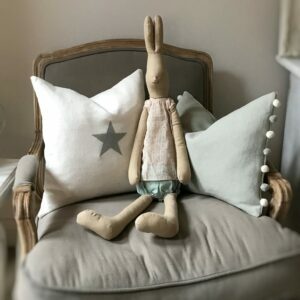 Machine was at 40 degrees. 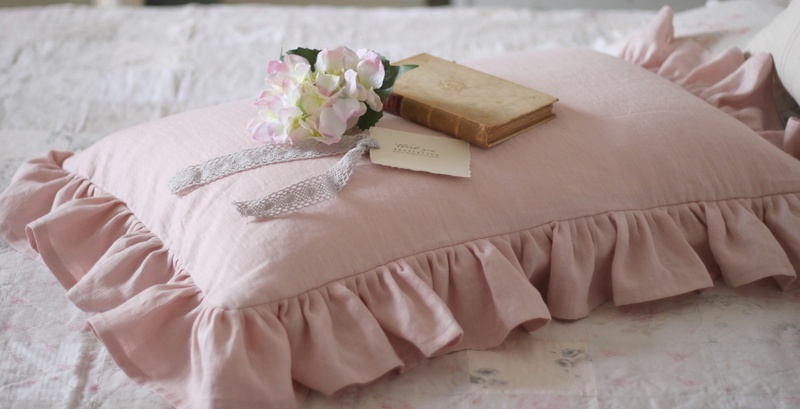 3 inch frill all around the case, we can make these in any of our pink linens, Old Pink Stonewash, Chevron Faded Old Silk or Hygge Piggi, just let us know your preference and if you would prefer a different colourway like Dust or Cobble this is also possible.